As an offering to the Halloween Gods, I offer up this new portrait of Vincent Price as Dr. Anton Phibes from “The Abominable Dr. Phibes” (AIP – 1971). 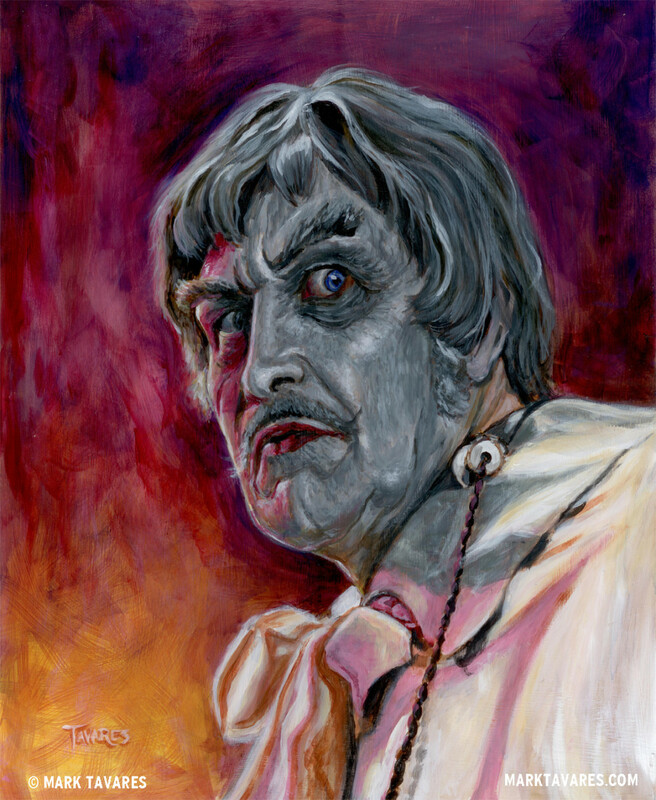 Vincent Price as “The Abominable Dr. Phibes” 16 x 20. Acrylic on Masonite.